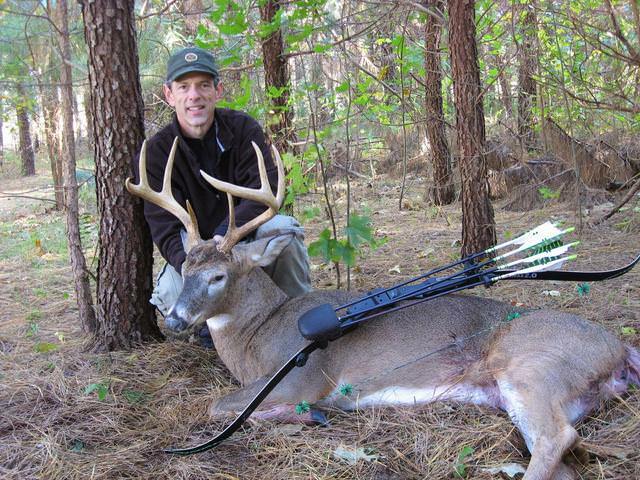 40# - 45# Bow Harvest Pics? 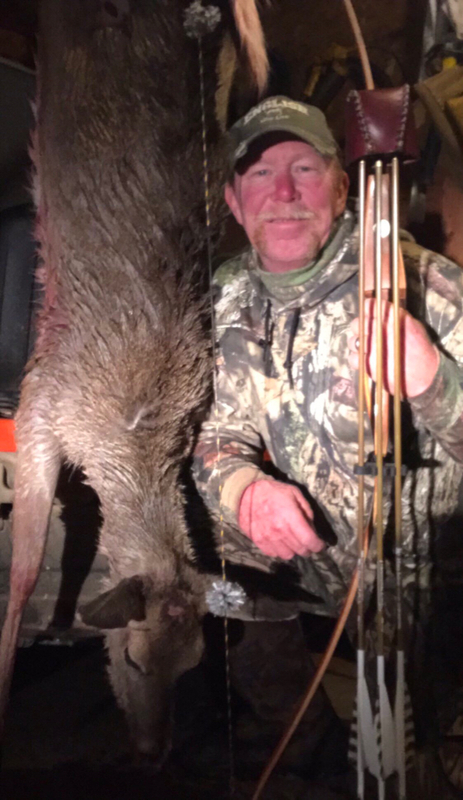 Re: 40# - 45# Bow Harvest Pics? Doe taken with my ‘59 Bear Alaskan, 45#. 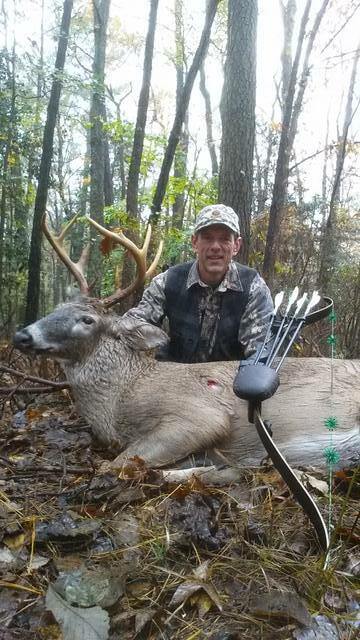 My 100th deer with a bow, Delaware buck same Titan set up. LONG shot for me, 26 yards and arrow pentrated to the crest. Great work boys! Getting me excited for spring! 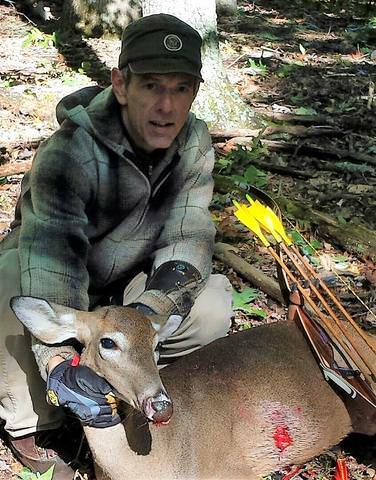 Congrats John(Yohon) on your 100th deer with a bow. You are still a young man(LOL), and the Good Lord willing, you can look forward to 150. Good on you man. I snowshoed into camp to check everything and get some shooting in. I had set some ant bait out as it appeared we have a small carpenter ant issue inside my camp. Unfortunately, I couldn’t get much stumping done with thigh deep snow. Fortunately, I was able to make the most of the carpenter ant issue. Full disclosure—— these ants, while alive had injested poison, so although they are free ranging, both the poison and the snow slowed them down a tad. I placed a handful on a softball sized ice chunk and backed up to about 12 yards. I had a small “ant-fever” attack and shot over them on the first attempt. I’ll have to wait until spring to recover that arrow. My second shot was right on and the 500 grain ACE blunt tipped arrow exploded both the ants and ice. I was only able to find one intact body. I’m thinking shoulder mount.